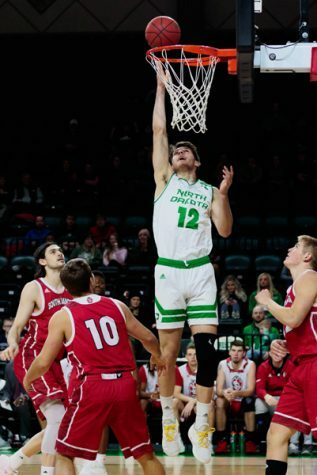 The University of North Dakota Men’s basketball team had an interesting final week of Summit League play as they closed the regular season with two road games. 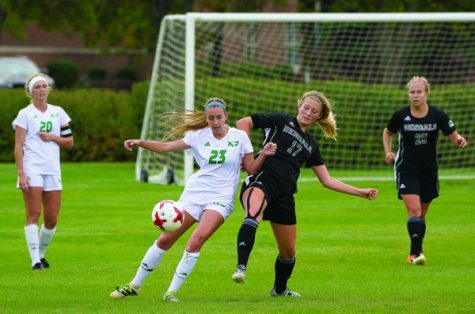 First, UND travelled to Indiana to take on a talented Purdue Fort Wayne team. The Fighting Hawks came away with one of their biggest wins of the season as they upset the Mastodons 88-82 behind a career-high 32 points from senior wing Cortez Seales. Seales shot the ball well, going 14-of-20 from the field and 4-of-5 from the free throw line. He also added six rebounds and four assists. Redshirt freshman Aanen Moody didn’t let Seales do it on his own, though. 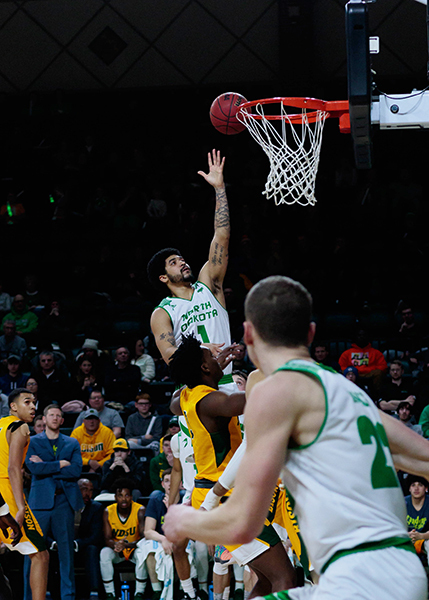 Moody was a flamethrower in the upset win, knocking down seven of his 13 3-point attempts to finish the game with a helpful 21 points off the bench. 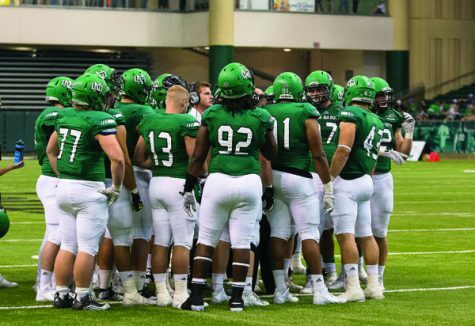 The win over PFW would give the Hawks some momentum heading into their final game of the regular season on Saturday afternoon against the South Dakota Coyotes. 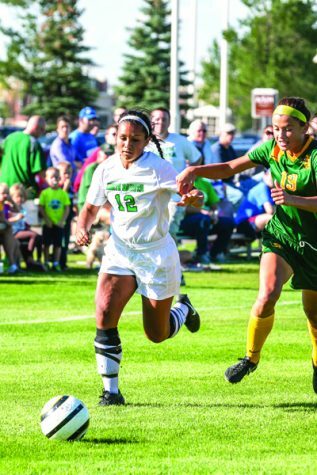 While both USD and UND had already secured spots in the Summit League tournament, this game still mattered in terms of seeding. 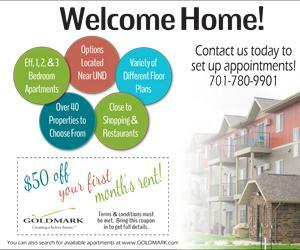 The winner of Saturday’s matchup between the Fighting Hawks and the Coyotes would be the No. 6 seed in the Summit League tournament and would play Purdue Fort Wayne in the first round. The loser would be the No. 7 seed and play either South Dakota State or Omaha in the first round. 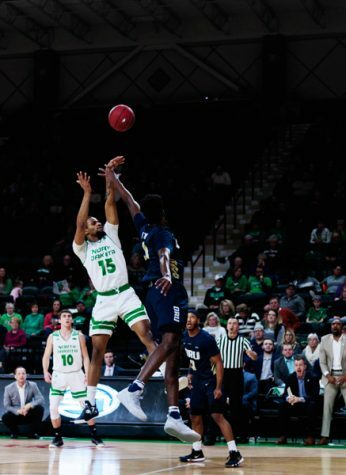 Matching up with Purdue Fort Wayne – a team that UND recently beat – would be a much better scenario for the Fighting Hawks than matching up with either SDSU or Omaha – two teams that UND has yet to beat this season. Both UND and USD came into Saturday’s game with equal records, and the similarity between the two programs was obvious. The entire first half was back and forth, resulting in USD taking a two-point lead at the break. The second half is where the Coyotes pulled away. A quick run for the Coyotes in the second half is all it took for USD to put the nail in the coffin. They outscored UND by 13 points in the final 20 minutes and went on to win the game with a final score of 78-63. UND’s defense wasn’t great, but the offensive end of the court was where they really struggled. They shot an extremely rough 17.6 percent from 3-point land and 62.5 percent from the free throw line. 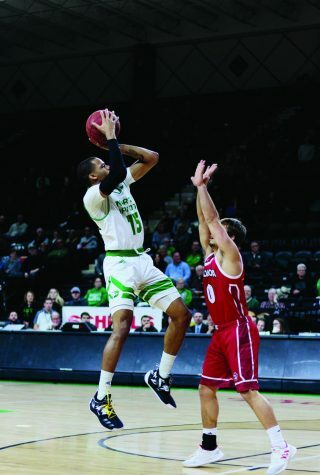 Like usual, the Fighting Hawks were led by Cortez Seales, Conner Avants and Marlon Stewart. Seales finished the game with 19 points, Avants with 12 points and nine boards and Stewart with 17 points and five assists. All three of those guys played well, but the Hawks needed more. UND will look to play the part of the spoiler in the Summit League tournament on Saturday, March 9.